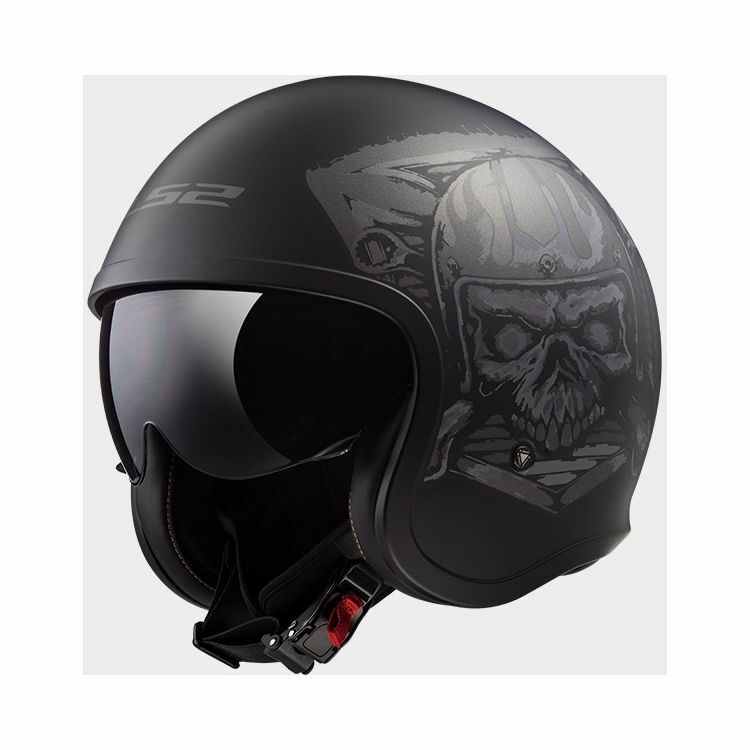 The LS2 Spitfire Helmet starts with a lightweight shell. Add a built-in, drop down inner sun shield. Build the rich comfort padding out of hypoallergenic and breathable materials and add a built-in ventilation system to allow fresh air to pass through the material, keeping you cool and dry. The 3D laser cut interior offers the perfect fit, with no hot spots, for all day comfort. Finish it off with a DOT-approved quick release chinstrap, and you have a modern, comfortable helmet with the retro style you love. BEST ANSWER: Yes, it’s DOT approved and ECE 22.05 certified.